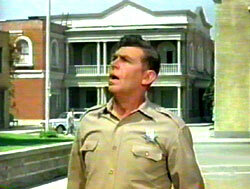 How is it that The Andy Griffith Show has endured on television for 50 years now? And what is it about the notion of a community like Mayberry that continues to resonate with so many Americans? 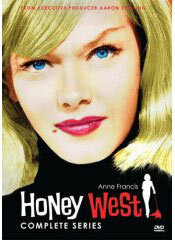 Perhaps it was the level of honesty underneath the necessary artifice. 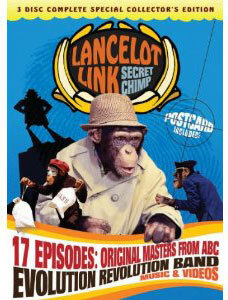 "Everything we said on the show we believed," Andy Griffith declared. "I suppose that's what made it work. We never went for something we didn't believe. It was a good eight years for me, I'll tell you that." 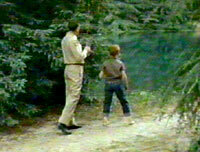 Certainly at the beginning The Andy Griffith Show was a genuinely well-written and realized show. That's the main reason the program has stayed popular, it stands as an idealized snapshot of at least one vision of the American dream. 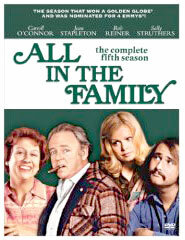 It's true the production of the series coincided with one of the most dramatic cultural upheavals in American history but the series reflected instead a quaint community where the barber had as much influence as the mayor; where the most shocking thing that happened was Aunt Bee picketing a construction site or the 'Fun Girls' speeding through the center of town. The Andy Griffith Show was a spin-off, of sorts. 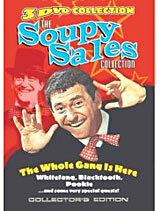 The pilot had been integrated into an episode of The Danny Thomas Show. 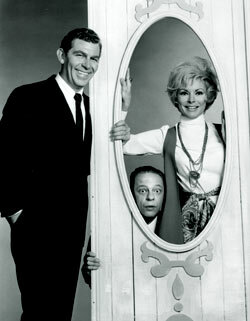 Practically unheard of in the 1960s, the spin-off had been accomplished on radio many times, but taking an established TV character and building a series around him or her had never been attempted until Pete and Gladys in 1960 (a spin-off of December Bride) and Petticoat Junction, which sprang from The Beverly Hillbillies in 1963. 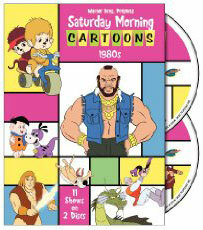 The executive producer of the series was Richard O. Linke, Griffith's manager. 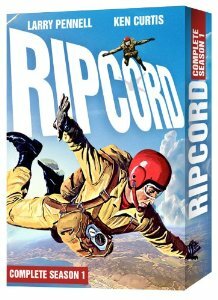 It was producer Aaron Ruben (writer for The Phil Silvers Show), Sheldon Leonard (producer of The Danny Thomas Show) and Andy Griffith's attention to the scripts that made the series as engaging as it was flat-out funny. It's no exaggeration to say the nation instantly fell in love with Mayberry's quirky inhabitants, The Andy Griffith Show finished its first season as the number four show in the nation. Grape Nuts ad from season one of The Andy Griffith Show. The lives of Sheriff Andy Taylor (Griffith), his Aunt Bee (Frances Bavier), son Opie (Ron Howard) and deputy Barney Fife (Don Knotts) unfolded slowly in a series of charming, laugh-out-loud stories that were almost entirely character driven. Before long, other mildly or wildly eccentric Mayberrians turned up, like Howard McNear who first appeared in episode 13 as befuddled Floyd the barber. "He was just like that," George (Goober) Lindsey once commented about McNear. "I loved working with him. We would come to the studio to watch him work when we weren't working, and that was rare." 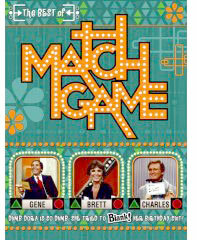 Midway through the third season, McNear suffered a massive stroke that paralyzed the left side of his body. He dropped out of the cast but everyone enjoyed working with him so much that they arranged for his return in March of 1964. Because of his disability, Floyd's scenes had to be shot with the actor sitting down, or leaning against an unseen support. Jim Nabors joined the show as innocent but dimwitted gas jockey Gomer Pyle in January, 1963. Nabor's character was based on his nightclub act, where he played the country bumpkin for laughs and then sang out in sublime baritone voice. 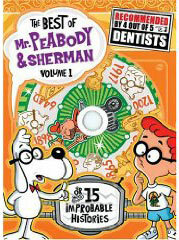 "I've always liked the character a lot," Nabors said about Gomer. "I've been very blessed to have such a diverse career. I've never been without a job in 40 years." 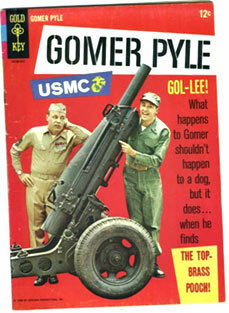 Gomer Pyle, U.S.M.C. 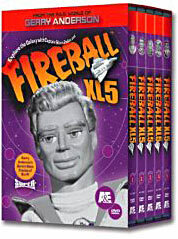 was launched in the fall of 1964 and enjoyed a five-year run at the very top of the Neilsens. The pilot episode was produced, written and directed by the fellow who guided The Andy Griffith Show from the beginning, Aaron Ruben. Two major defections meant big changes for year six of The Andy Griffith Show. 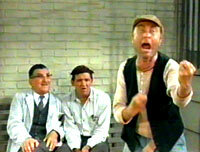 Aaron Ruben left TAGS to concentrate on Gomer Pyle, U.S.M.C. but he continued to work with Andy and Don. When Griffith, Knotts and Jim Nabors did a special together in 1965, it was Aaron Ruben they turned to. He also wrote and produced Andy Griffith's Uptown-Downtown Show (seen right) in 1967 as well as Don Knott's CBS special that year. 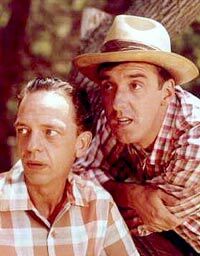 At the same time, co-star Don Knotts (Barney Fife) split from the cast. 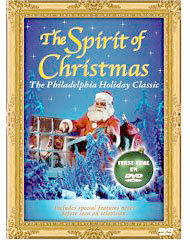 Knotts was under the impression that Griffith was going to end the series after five seasons so he negotiated a deal with Universal Pictures to star in a series of movies for young audiences. Classic Don Knotts Barney episode from Season 4. 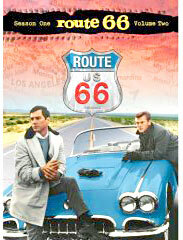 "When Don left after five years I was very nervous," Griffith admitted on reflection in 1968. 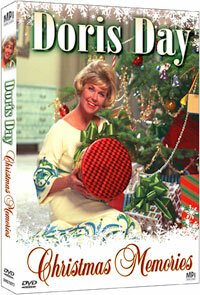 "There was a lady from TV Guide came in there and she said, 'What are you going to do when Don leaves?' I told 'em not to to send her over there. "And I got up and left and she wrote it just that way. Best article ever written about me. She said, 'he got up and left and didn't even say, 'I appreciate it.'" 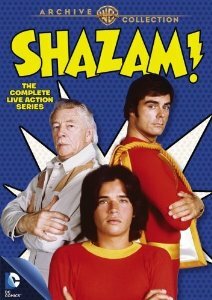 Gone as well were the writers who guided the series for those stellar five seasons, guys like Jack Elinson, Harvey Bullock, John Whedon, Michael Morris, Everett Greenbaum and Jim Fritzell (Greenbaum and Fritzell left to write Don Knotts' hit movies The Ghost and Mr. Chicken and The Reluctant Astronaut). In the fall of 1965, Bob Ross, veteran writer/producer of Amos 'n' Andy and Leave it to Beaver took over as producer of The Andy Griffith Show, broadcast in color for the first time. In a disastrous casting choice, standup comic Jack Burns (of Burns and Schrieber) replaced Don Knotts as Andy's deputy in the fall of 1965. The fit was not good, resulting in Burn's abrupt departure mid-season. 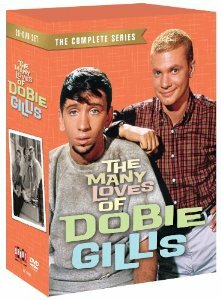 By default, the focus of the show fell to the remaining supporting players, especially Goober Pyle (George Lindsay) who was introduced as a replacement for his cousin Gomer in 1964. 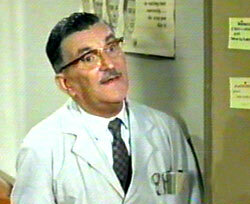 Dour county clerk Howard Sprague (Jack Dodson) joined the regular cast in 1965. These changes seriously affected the quality of the series, but there was no noticeable drop in the ratings. 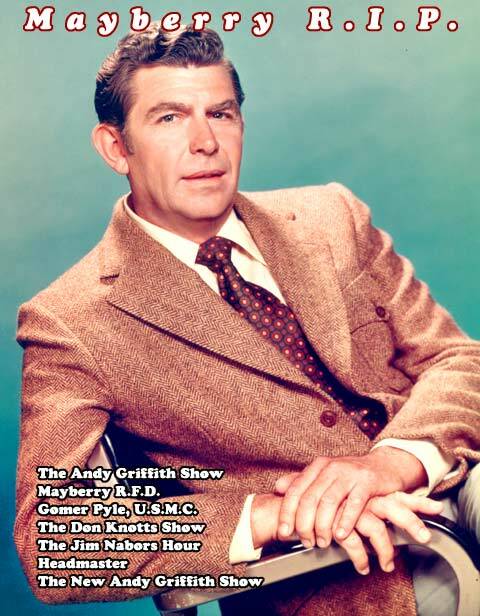 The Andy Griffith Show was so popular both as a program and as a notion that superior scripts were no longer necessary to attract an audience to CBS Monday nights at 9:00. 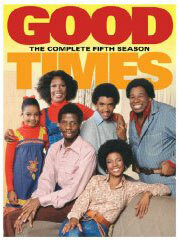 The show was consistently in the top 5 - the characters just needed to show up each week and the nation tuned in. Emment Clark (Paul Hartman) was introduced during the seventh season to replace Floyd in some of the storylines. Too feeble to work any longer, Howard McNear retired at the end of the 1966-67 season. He died two years later. 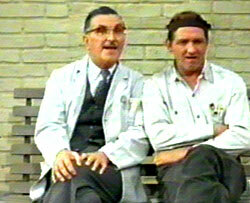 "We had a great time on the show," George Lindsey stated in 1998. "We respected each other's work so much because everybody was so good. Everybody had their own particular thing they did. Like Howard Morris and like Denver Pyle and then, of course, there's Howard McNear and Don and Andy and Frances and Anita and the boy - you know the one, the redheaded boy - and Betty Lynn and all those people." The show may have crossed over from quality to corn but the eighth and last season of The Andy Griffith Show brought the highest ratings of the series' run. 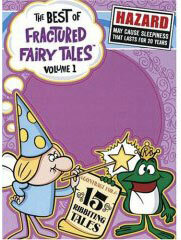 ...and Andy flops twice in one season! 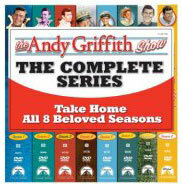 Buy The Andy Griffith Show here! 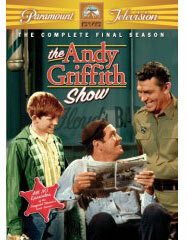 Every season of The Andy Griffith Show began with a story that centered around Opie. 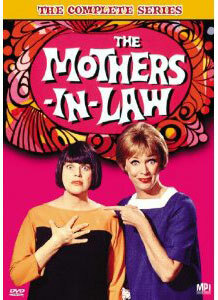 Andy's girlfriend Helen Crump (Aneta Corsault) joined the cast in 1964. "I couldn't wait to go to work every day. 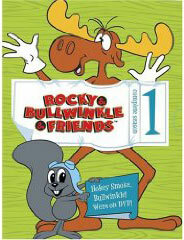 It was one of the best ensemble shows on television." 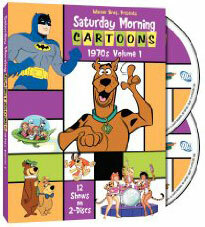 The entire series on DVD! 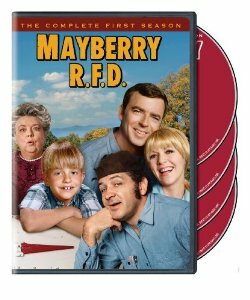 This is the complete box set- all 8 Seasons will definitely bring you back to remember the colorful cast from the streets of Mayberry. 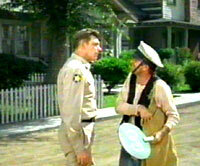 Plot Synopsis from the DVD: Widower Sheriff Andy and his son Opie live with Andy's Aunt Bee in Mayberry NC. With virtually no crimes to solve, most of Andy's time is spent philosophizing and calming down his cousin Deputy Barney. 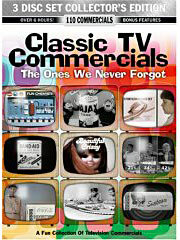 For the best information on The Andy Griffith Show visit The Andy Griffith Show Rerun Watchers Club, "TAGSRWC"